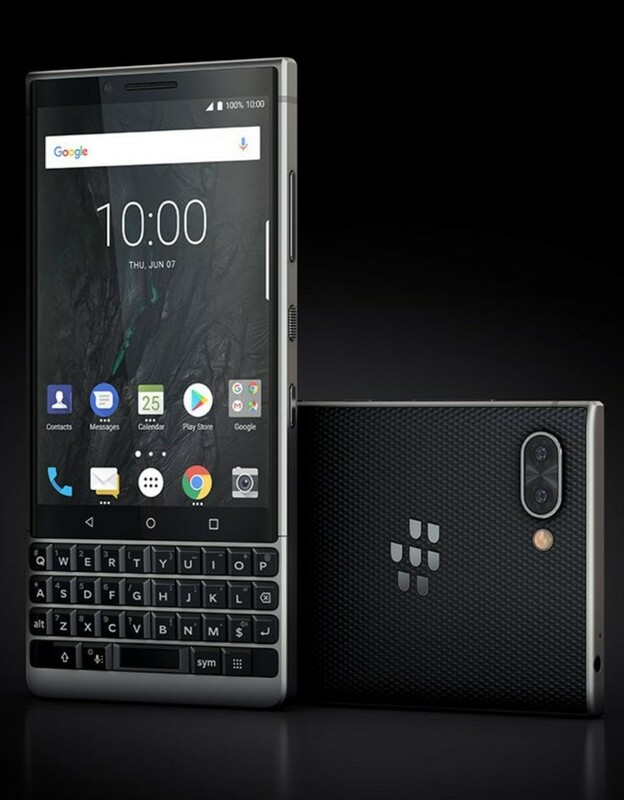 The BlackBerry KEY2 should give me everything I love about the KEYone and more; and it’ll be here before you know it! I’ve always had an on-again off-again relationship with BlackBerry phones. When I heard the company was going to partner with Google and use Android as the basis for its new phone operating system I was pretty excited and I think i was one of the few people out there who really liked the Priv, despite all its shortcomings. As things often do, it got a little weird when BlackBerry decided to stop making hardware and instead focus on the software side, but the KEYone came and erased any doubts I may have had there. A handful of reviewers got a KEYone early, and I’ve been using it ever since. I like Google’s Pixel and sometimes get phone envy (I have no idea why, but I want that Republic of Gamers phone from ASUS) but the KEYone really jibes with me and I really have no desire to stop using it. Or didn’t, until I heard about the KEY2 anyways. 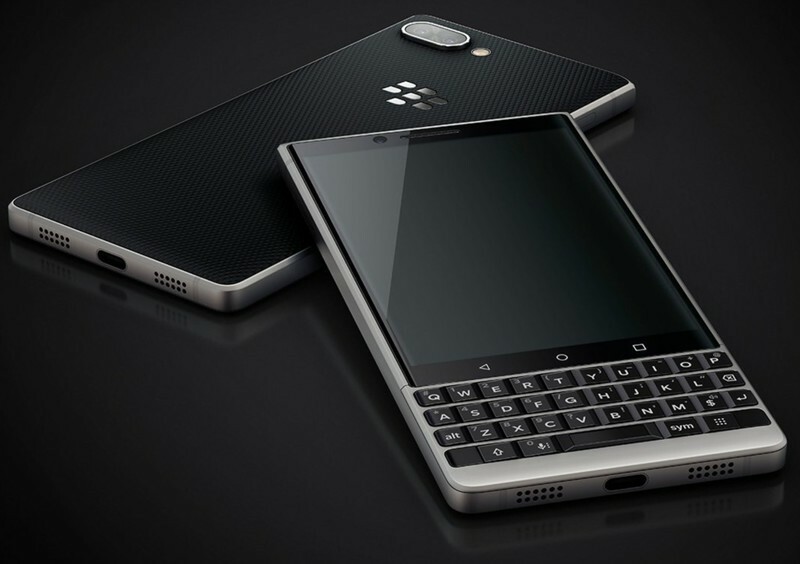 Having seen all the leaks and heard all the rumors, there are a couple things that I’m really looking forward to about the KEY2 and am ready for one to find its way into my hands. Phone makers have turned to tall and skinny phones to both have a bigger number on the screen size section of a specs list and to save money, and phones with longer and more narrow aspect ratios have become the norm. I see the benefit for users here — a narrow phone is easier to reach across with your thumb. But that benefit is also a detriment if you didn’t need things to be more narrow to reach across and hit that “M” key on the keyboard. It means more of my hand is in constant contact with the edges of the phone’s display and even with really good palm rejection, I face false touches when trying to use a phone like the Galaxy S9. Companies that make phones should build them to favor the majority of users. I get that. But it’s also really nice to know that there will be at least one phone in 2018 that won’t be narrow and more difficult for me to use. It’s also nice that there won’t be a notch in the display just to have a notch because oftentimes app developers can’t be counted on to do the right thing. Google is almost certainly building a notch into at least one of its next Pixel phones and we already know that Android P has new tools that help manage a notched display. I expect that we’ll see broad software support for them in full screen apps somewhere around 2024 (the Motorola XOOM was going to get every developer to build app layouts for tablets, remember?) at the earliest. I’m good until then. One of the greatest things about the KEYone is its battery life. 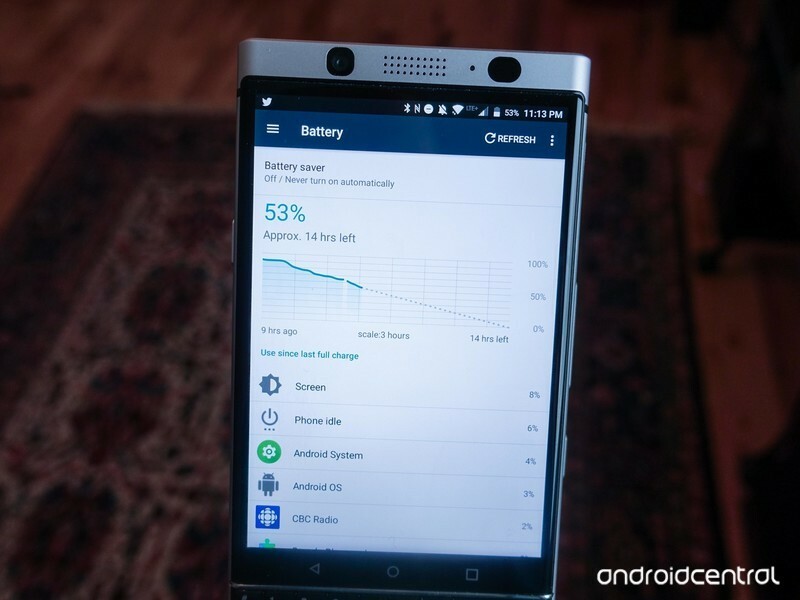 It’s possible to stretch most modern phones to multi-day battery life if you pay attention to how you use them or enable any smart battery tools, but for the KEYone it just works. And works. I probably don’t use my phone the same way a lot of folks do, but it is always on, always syncing, and always gets charged every two days. I can stretch it to every third day if I try, but I’ll admit it’s a stretch. And while charging your phone every night isn’t a big deal, it’s nice to have that extra battery power when you need something like turn-by-turn directions in the middle of the day and can’t be near an outlet until late in the day. I expect the KEY2 to have newer silicon inside which should mean even better power management. I don’t need better battery life than the KEYone gives me, but it’s great knowing I probably won’t have to go back to carrying around a battery pack. Not just that extra convenience key on the side we see in the latest leak, either. 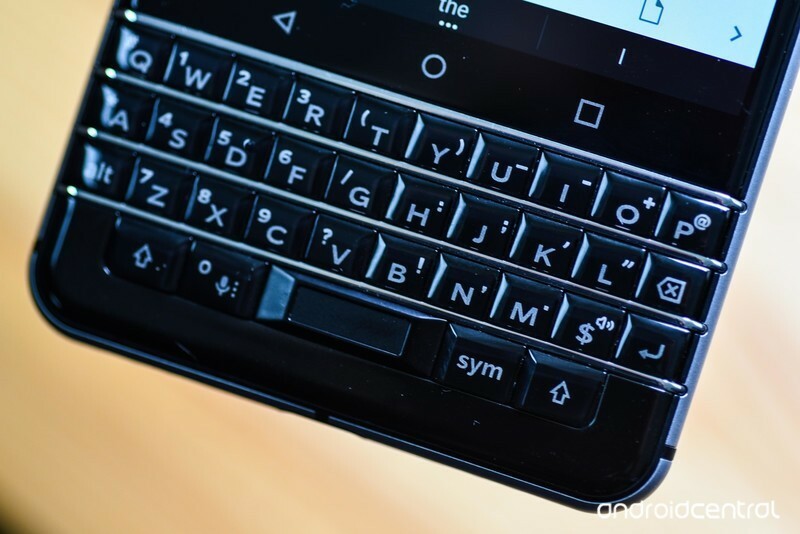 BlackBerry’s software and physical keys mean I can have 52 different different shortcuts to apps, contacts, directions, web pages and more at the ready at all times. There are a few things I do a lot with my phone. Things like pop open my family’s shared grocery list, or send a message to my wife advising her about something that may have happened, wasn’t really my fault, and to not be mad at me OK? Love you so much honey. You get used to this sort of thing and anytime I am using a different phone I instinctively reach into my pocket ready to long press T as I pull out my phone to send a message. I don’t want to stop getting used to it because this is the sort of feature I find useful and the kind that makes a phone worth buying. These keyboard shortcuts are as important to me (and others) as a good camera might be to someone else and I’m positive that they won;t be going away with the KEY2. I don’t chase specs on a phone. Because I do like to chase specs on a desktop PC (and watch money disappear like magic), I understand those who do and why, but I never got bitten by the bug when it comes to mobile. But I’d by lying if I said I wasn’t excited about the KEY2 having better specs. The KEYone can get laggy. No more than most any other phone and not very often, but if you have it doing many things at once — especially if you’re using the BlackBerry Hub software — you’ll see it stutter from time to time. I’m hoping that further refinement to the software paired with a stronger CPU and 3 (or 4?) GB of RAM standard will mean those times are fewer and further between. I have no idea what better specs on the KEY2 really mean when it comes to usability because numbers never tell the story. But I’m looking forward to finding out. First things first — I really prefer the open source way Google does security on the Pixel phones. I like peer review and wide-open bug bounty programs, and think that open-source software is always the best way to go when a security flaw is found. But a Pixel isn’t going to give me any of these other features listed here and BlackBerry takes mobile and IoT security just as seriously as Google does. On an unlocked model, you can expect to see a security patch every month that one is needed on a BlackBerry. 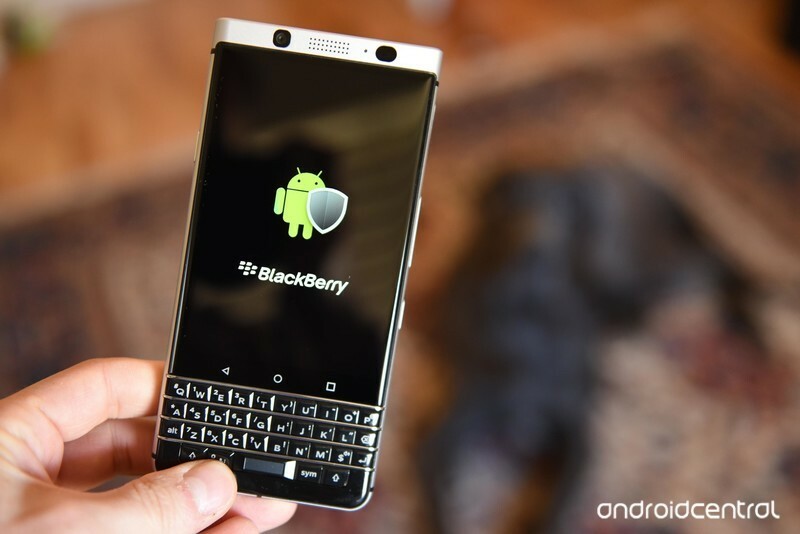 It’s important to realize that it’s not always needed because BlackBerry also adds in their own low-level security features that have mitigated an exploit before it happens to “standard” Android. Samsung can do something similar with Knox, and has done so in the past. I can still wish the code was available for others to review, but I’ll also know that BlackBerry can’t afford not to be on top of any security issue because that’s the company’s entire mobile draw. I do need to say that as someone who is security-conscious it does bother me that BlackBerry has handed encryption keys to governments when ordered by a court to do so. Then again I never really expected the BlackBerry board to give a stiff middle finger to a court order so I’m not surprised. Finally, the biggest thing I’m excited about is another year with an awesome keyboard to use. When it comes right down to it, the keyboard is why i was interested in the KEYone to begin with. A mobile with a keyboard means cramped typing on tiny keys. I won’t try to claim anything different or say that it’s as good as something like a Chromebook. But physical keys give real feedback and that means you can train yourself to use them just like you can any other keyboard. I can literally type a message without ever once looking at the phone, and nine times out of ten any typos are corrected on the fly. I type better (when it comes to spelling) on my KEYone than I do on my desktop, thanks to autocorrect. You can’t do this nearly as well with a touchscreen keyboard. At least I can’t. I’m also a fan of the capacitive strip between the keys and the screen, because it’s a great place for text correction or special characters to live. I know that’s not a very popular opinion, but I tend to favor function over form that way. 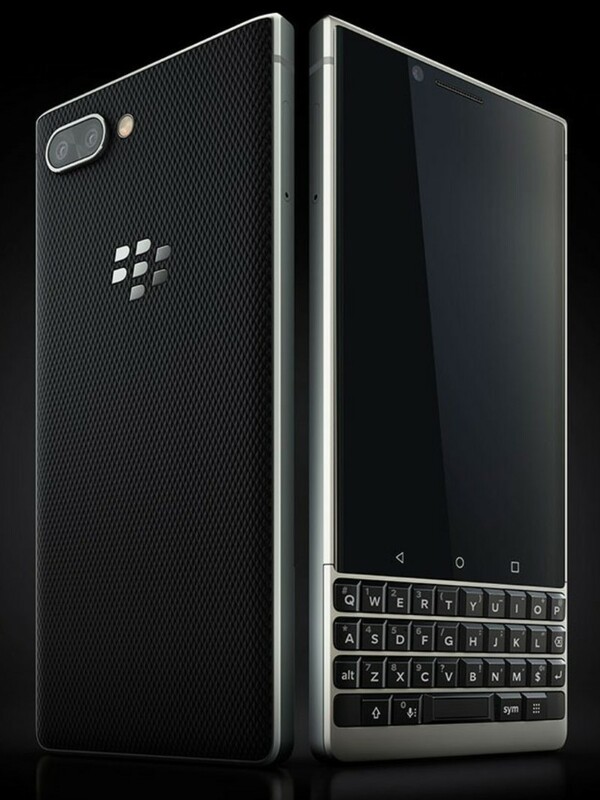 I know I’m not the only person looking forward to the KEY2 (sorry, Russell, it’s KEY2 — silly capitalization and all) when it launches. And that should be very soon, which is awesome for all of us. Take a minute in the comments and let me know why you’re looking forward to it, and what you hope to see.